Due to the American Holidays USD pairs are moving slowly and for EURUSD the story is the same but USD is still supported by the Yellen’s speech so the downward momentum may stay for a while. Not only the pair is falling down the descendant channel, it is also creating a choppy pattern leaving lower highs and lower lows. The support is at 1.11260 with resistance at 1.11620 and the weekly pivot line is resting in between at 1.11420. The MACD indicator is in negative territory and the RSI is below the 50 level. The EMA of 10 is located below the EMA of 75 confirming the bearish scenario of the last recent days. 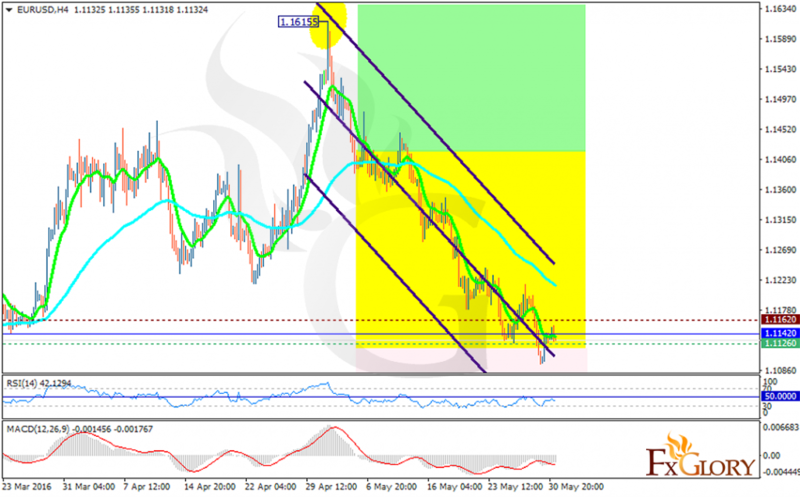 The support level breakthrough will pave the way for further decline to 1.1070.